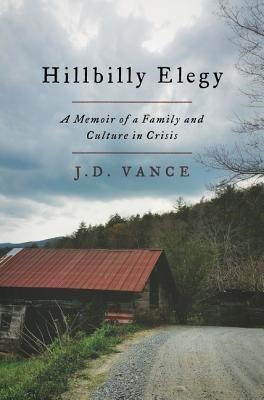 Hillbilly Elegy is J.D. Vance’s first book, but it is not his first publication. He has had articles in National Review going back at least to 2013, and he was an editor at The Yale Law Journal (a publication run by Yale Law students) while a Yale Law student. Vance’s personal story would be important to a book review even if this book were not a memoir. A child one generation out of Appalachian Kentucky, with family ties to the Hatfields (of the Hatfield-McCoy blood feud), Vance was raised in an environment of poverty, substance abuse, and family dysfunction. With the help of his “Mamaw” (his maternal grandmother) in particular, he was able to find a measure of stability in his life, enter the Marines out of high school, then go on to blaze through a degree at Ohio State University and excel at Yale Law School. For my own part, I was interested in how similar his experience might be to my own. Not only do I have plenty of Scotch-Irish roots, but I’ve never been very insulated from white working class poverty, family dysfunction, mental illness, and substance abuse. Vance may write that only in Appalachia do children have grandparents named “Mamaw” and “Papaw,” but I grew up with Mamaw, Papaw, Mamaw Mac (short for Maxedon, my great-grandmother), and Papaw Mac in central Illinois. My mom is “Mamaw” to my two sons and all my siblings’ children. Like Vance, multi-generational family networks of support—and like him, especially female family members–alongside formal education have made a tremendous difference in family outcomes. Vance could not have picked a better time for his book to be published. When Hillbilly Elegy was released in June 2016, Donald Trump was headed for a victory at the July Republican National Convention. His strategy of massive rallies was well established, and he was clearly aiming at white voters who had felt economically and politically disenfranchised for decades. Writing this review two days after President Trump’s inauguration, I think most of the analysis for how and why Trump was elected is premature. For instance, early claims that it was poor Americans voting for him simply turned out not to match the data. And this particular book, probably the most-mentioned this year for explaining that phenomenon, has been overhyped in that early, easy analysis as well. For its own part, Hillbilly Elegy does not hesitate to refer widely to economists, sociologists, psychologists, and political scientists. Vance’s engagement is not only with popular regurgitations of various studies but with the studies and researchers themselves. But taken as a whole, the political diagnostic work forms the weakest portion of the book. To be specific, Vance believes that his experience is unique, when it is actually quite widespread. Two generations of genealogical data in most families can uncover violence, substance abuse, poverty, family dysfunction, and lack of access to education. When Vance contemplates going to college, he feels he’s not ready and joins the military. This too is a common American story (albeit one with far more clear-sighted self-knowledge by the 18-year-old in question). Finally, Vance describes not knowing what to do with all the silverware on the table and not knowing how to order off of an extended wine list while being pursued by employers as a Yale Law student. This experience would be alien in the exact same ways to most Americans in their mid-to-late twenties. It is only in passing that Vance ever notes the problems of class inequality and its causes, which reads as an ideological blind spot given his regular publications in National Review. When he speaks of political and social solutions, it is both lovely to see how he holds up the need for strong communal institutions alongside strong families to create opportunities for people, but it is dismaying to not see him dig deeper into how institutions and government work together. Even with these caveats, I won’t hesitate to recommend this book widely. I love memoirs, and this is easily among 2016’s best. Perhaps best of all, and not mentioned thus far, this is a book-length thank you to Vance’s Mamaw. The gratitude that flows for this woman—a foul-mouthed, quick-to-violence, idiosyncratically religious, and ultimately loving human being—is a grandson’s gift to her memory.